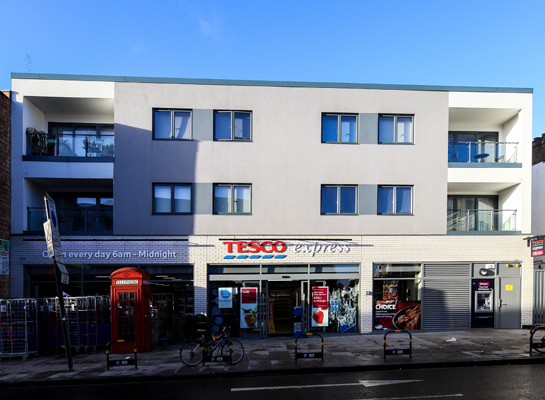 This small mixed use development set back from a busy road in Islington replaced a plumber's merchants with a mixed use building of 4 x 2 bed apartments and a new supermarket. with a large ancillary basement. The flats are accessed from a private gated passageway at the side of the building. The supermarket had specific requirements which involved careful coordination of structure and services so that no drainage from the flats above would have to pass through the retail space.